Chicano, the 2017 SEA Games men’s triathlon silver medalist, again showed that he’s the biggest thorn on Huelgas’ side after topping the opener of this year’s National Age-Group Triathlon (“t was a nice race and I’m really looking forward to be in peak form in time for the SEA Games,’’ said Chicano, who also won the prestigious Tri-Factor International Triathlon in Quzhou, China late last year. 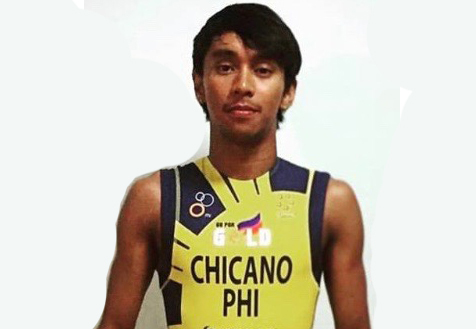 Just like Chicano, Huelgas is part of the Go For Gold triathlon team. Chicano cut loose in the final two kilometers of the run sequence of the NAGT held at San Bernardino inside Subic Bay Freeport to capture the gold in the men’s elite with a clocking of one hour, 58 minutes and 47 seconds. Seeking a spot in the men’s national squad, 21-year-old Fer Casares placed second in two hours and one second followed by Go For Gold and Siklab Sports Youth Awardee Kim Remolino of Cebu (2:02:12). Chicano, better known as Rambo in the elite triathlon circuit, has been blessed with another win brought about by his commitment of conducting triathlon clinics in rural areas to search for future talents. “Rambo has become an inspiration to all our young triathletes who are motivated to follow his footsteps as we aim to produce more triathlon champions,’’ said Go For Gold godfather Jeremy Go. Chicano and Huelgas are both looking forward to teaching a new breed of triathletes as Go For Gold helped organize a series of sprint races in Cebu, Davao, and Subic this year. Joining hands with Sunrise Events over the next three years, the Go For Gold Sunrise Sprint will coincide with the 5150 triathlon races on April 28 in Cebu, July 7 in Davao City and Nov. 3 in Subic Bay. 5150 is an Olympic distance race. Go, vice president of Powerball Marketing and Logistics Corp., the company behind the Go For Gold program, recently announced that the top performers in the open category (15 years old and above) will earn a year-long contract with Go For Gold.